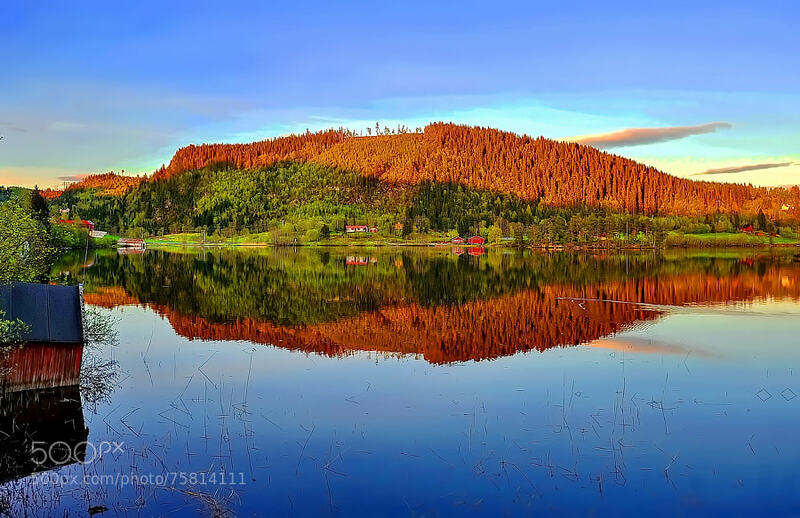 Jonsvatnet is a lake in Sør-Trøndelag county, Norway. Most of the lake is in the eastern part of the municipality of Trondheim, with a very small part of the shoreline belonging to Malvik municipality. The lake is the main source for drinking water for Trondheim. As you can see the picture has been taken at sunset time. This was unique sense because of the perfect reflection on the lake and also the shape of sun rays on trees.